It's good to have life goals. It can be hard to know what to do when you’ve achieved your dreams. For instance, I once made an extremely good sandwich, and I’ve really just been coasting ever since. In Cultist Simulator, the goal is a bit more ambitious: start a cult and achieve immortality. But where do you go from there? A free update due out later this month has a very satisfying answer: become a god. The advanced, post-game mode can be unlocked by finishing the regular game. Playing as your own apostle, you’ll need to work to transform your immortal character into a deity while powerful immortal enemies try to put a stop to your plans. They’re not messing around and will happily kidnap your family, expose you and leave you impoverished. Friendly bunch. Cultist Simulator’s disquieting lore is also being expanded. If you’ve got questions, you might find answers. Don’t count on it, though. They’d probably give you disturbing dreams, anyway. I’ve ‘finished’ Cultist Simulator a few times, so a New Game+ mode sounds right up my street. And it’s shaping up to be a lot more novel than just playing the same game but harder. Not that it won’t be extremely tricky. Expect it to be pretty unfair, according to developer Weather Factory. Unavowed got my personal pick for our 2018 Game of the Year awards, but it was tied right until the end with Cultist Simulator (and RimWorld), and I still feel a little bit guilty. 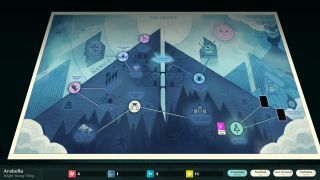 Thankfully, Chris made it his, pointing out how half the fun of Cultist Simulator is figuring out how it all works. It takes you in such strange directions and lets you tug at so many different threads that it can be a little confusing, but confusing seems the right tone for a game about secret gods and mind-bending magic. The free update is due out on January 22.